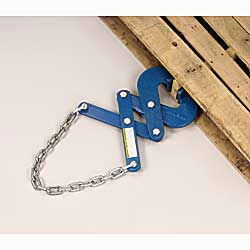 Pallett Puller used with forklift or equipment to pull/slide wood pallets. Capacity affected by pulling strap or chain. * Please call us for any questions on our pallet puller rentals in Portland OR, Gresham OR, Milwaukee OR, and surrounding metro area.